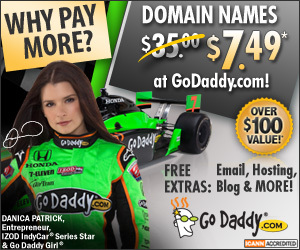 GoDaddy is offering 1 year, new domain name registrations or transfers for $0.99 plus $0.18 ICANN fee for a total of $1.17 with coupon code BEATHEAT99. The code appears to only work with the .com extension. Payment via credit card or by check and to be used only once per GoDaddy account.